One of the most beautiful gardens of India, this sprawling Lal Bagh Garden in Bangalore stretches out to 240 acres. Lal Bagh Garden was originally conceived in the 18th Century by Hyder Ali and the project was finished by his son Tipu Sultan who imported exotic plants and trees from various countries. Located in South Bengaluru, the gardens are inspired by the Mughal style of horticulture and are associated with the Archeological Survey of India, given its historical significance. This rich collection of rare plant species and flowering shrubs add to the charisma of this place. A glass house that resembles the London’s crystal Palace is the significant focal point in this stunning Garden. Lalbagh is home to numerous tropical plants and home to few species of birds such as Myna, Kingfisher, Ducks, Indian Cormorant, Purple Moor Hen etc. The gardens are immensely popular for two events, first is for the Republic Day on January 26 and the flower shows which take place on regular basis. Lalbagh Garden has some unusual species of plants belonging to Europe and countries like Afghanistan. It is quiet place where nature lovers can spend a considerable amount of time, as well as ideal for school children and families for educational sessions and orientation about the biological heritage of plants. The botanical garden also includes an ancient rock which is over 3000 million years old. Also the landscape carved inside the Bagh includes an adorable knolls and a tiny lake called Lalbagh Laje, with addition to that there is also an aquarium. The design of this garden is made after Mughal Gardens. Lalbagh Garden has been recognized as an internationally renowned centre for scientific study of plants and botanical artwork. There are many places to explore as well. Few of them are Flower clock, Lotus Pound, Lalbagh lake, Peninsular Gneiss Rock etc. If you want to study the protective measures taken to save flora then this is a must visit place. 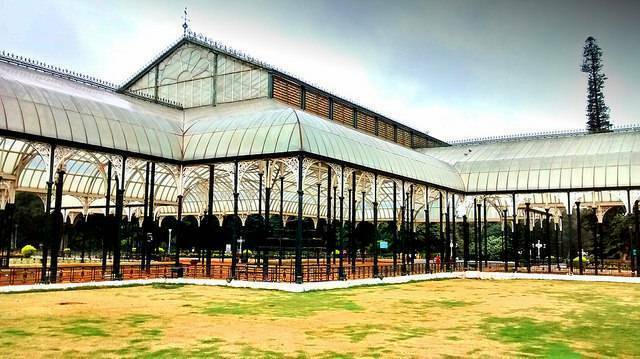 With its expanse and beauty, LalBagh is a famous picnic spot in Bengaluru for years now. After your morning walk or day tour, you can have breakfast or lunch at the original MTR restaurant just across the road from the main entrance. Entry to Lalbagh Garden is free from 6:00 AM to 9:00 AM and from 6:00 PM. to 7:00 PM. Entry for school children and the disabled is free all day.